I get why you love your stats, your graphs, your charts so much. You put your blood, sweat and tears into the research. Or at least into finding other people's charts to paste into your slides. Your data is brilliant. It makes your case. It explains everything you want to say. It might even be kind of pretty. Look at how those data points curve so dramatically upward and then zigzag back down! Fascinating! You have so much information, and it's so interesting, and you want to share it all! But guess what: Your audience doesn't love your stats, graphs and charts. Or your spreadsheets, because as Dave Paradi points out in this article, "...a spreadsheet is an analytical tool, not a communication tool." They just want to know how you can help them. Your chart doesn't tell your story, your graph doesn't persuade your audience, and your diagram doesn't motivate them to do anything. What your data does is support your key points and give the audience the facts and figures behind the story. 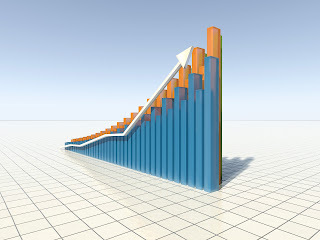 Your charts and graphs can help them understand how you arrived at your conclusions, so that they can 1) determine your credibility, 2) make their own analysis of whether the data backs up their already established beliefs, gut feelings, and maybe some of your new challenging ideas, and 3) respond or not respond to your call to action. But if all you have are charts and graphs, and you have no useful tools to offer, no relevant next steps, no emotional appeal to raise your audience's adrenaline by illuminating their fear, curiosity, amusement or anger, you will get little follow-through. They just want to know how you can help them. So make it about them, about what they need, want and care about, and not about your slides that make you look really smart but make no human connection whatsoever with the humans sitting in front of you. I found a nice explanation here of how to use charts and graphs more effectively in presentations. Enjoy! That's what they call "data dump". Carrying the numbers, stats, figures, charts, bars, histograms, even "grabbles" and dumping them on the audience. It is bad practice when one big boss gives his topic to his secretary or PA and wants a presentation designed for him, from planning to design to slide deck. Pure laziness; poor impact! I agree. It's unlikely that your presentation will be in your voice or will articulate your message well if someone else designs it for you. Unless they're a professional speechwriter, but the typical boss isn't paying for that!